There are few who would argue that the UK needs to significantly increase manufacturing output if we are to re-balance the economy and reduce the country’s dependence on the service sector. Whilst the UK’s automotive manufacturing plants are some of the worlds most highly automated, efficient and productive, other manufacturing sectors, indeed the UK as a whole, has a poor track record of embracing automation and robotics when compared to our European cousins and Asian competitors. The uptake of automation and robotics here in the UK has “stalled” for a variety of reasons, and in this article Automation Consultant – Mark Le Sueur discussed some of the perceived barriers to automation and highlights how, with a more pragmatic approach, UK manufacturers can realise the benefits of automating their production processes. For any manufacturing company, large or small, to purchase new plant and equipment a compelling business case needs to be made to justify the investment. A straight-forward and well understood process one might think, and this would certainly be true in many cases when considering the purchase of standard off-the-shelf equipment. But when it comes to bespoke automation and robotics (systems designed and configured for specific products or processes), many UK companies struggle with the concept of introducing technologies such as this and identifying the criteria necessary to build a solid business case. 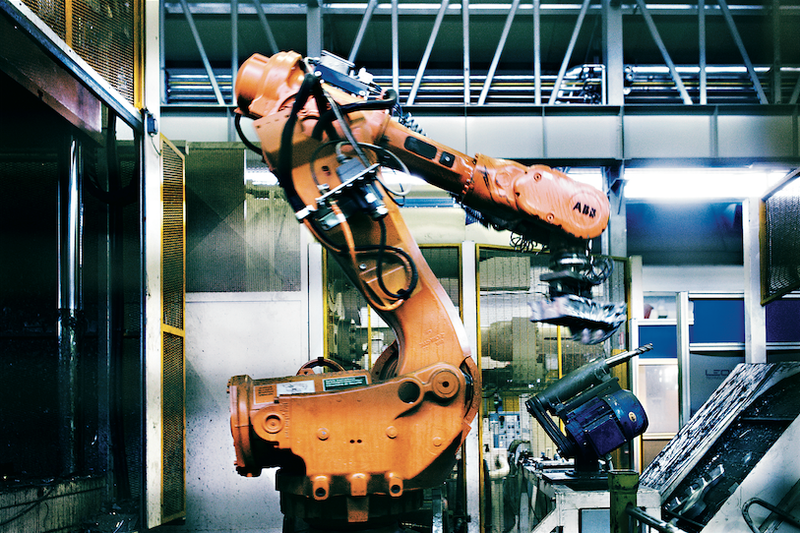 This scenario was demonstrated in 2013 – 2014 by the popularity of the government funded “Automation Manufacturing Programme” which offered companies the opportunity to have a manufacturing review by an independent consultant, helping them identify opportunities for automation within their business, evaluating the likely implementation costs and the potential return on investment. Some 380 plus companies from all sectors undertook manufacturing reviews, with many benefiting from the advice and guidance provided, and a number going on to implement successful automation projects. For many companies the initial barrier to automation is the perception that the technology is so expensive that it would be out of their reach. In addition, many companies lack the in-house expertise necessary to commission new projects with confidence, worried that making significant changes and automating current processes and methods will just be too risky. For others there is a distinct lack of appreciation of the benefits which automation can bring. Taking an holistic view of the overall manufacturing process can however identify both opportunities and the criteria which will build the justification. Even for manufacturers with an automation heritage, there can still be instances where a company’s own engineers find it difficult to identify the most appropriate opportunities for additional automation systems. In cases such as this, the ability of an independent Automation Consultant to take an impartial view and challenge traditional procedures or process to stimulate new ideas can prove to be highly beneficial. A UK manufacturer of electromagnetic flow meters and analytical instrumentation, continuing to seek opportunities for operational excellence, employed the services of an independent consultant to help identify areas where automation could further improve productivity and efficiencies. The process started by reviewing different product lines, to select which would be most likely to deliver the greatest gains. Once identified, a more detailed evaluation of the different process steps was undertaken to allow concept solutions to be produced. This was followed by the development of a detailed User Requirements Specification (URS) covering not only the system hardware, but also essential criteria such as: performance expectations, efficiency levels, user interface, data acquisition etc. to allow suitable vendors to tender for the project. Based upon this comprehensive URS and detailed proposals from suppliers, the company had the confidence to invest £120k to automate two process critical test areas in the manufacture of their range of pH electrodes. Upon installation the automation immediately improved efficiencies and also increased available capacity through a significant reduction in cycle time. This allowed the manufacturer to plan the introduction of a new range of products that will be processed through the same system. The overall performance of this system resulted in a shorter than anticipated payback period, reinforcing the view that automation does pay if the project is approached in the right manner. The success of this venture was such that the company embarked on a second project, this time on their electromagnetic flow meter range and in particular the larger sized meters, which posed several challenges in the handling of the products. From a financial perspective, the UK still suffers from a short-term approach to investment in automation. Un-realistic payback periods are imposed by Financial Directors taking a ‘risk-adverse’ approach, however in the longer term existing equipment and systems become unreliable and inefficient, further widening the gap between ‘now’ and the ‘automated future’. This is exacerbated by restrictive lending policies of the Banks, releasing funds only where risk is minimal. All too often, companies believe projects are unjustifiable if they don’t have an 18 – 24 month payback. This approach will never allow the significant investments needed to make step changes in business. In contrast, Germany and its approach to investment, encourages planning by family owned businesses looking to the long term. This justifies investment (albeit carefully planned and orchestrated) and improves competitiveness, precision and quality. Capital equipment requires capital investment spread over longer periods of time, in the past periods of 5, 7 or 10 years were considered normal, promoting great, long-term infrastructure of our businesses. Companies also need to understand that robotics and automation are no longer ‘cutting edge technologies’, they are highly developed systems capable of multi-million precision cycles with ever improving user-interfaces making their control, operation and integration ever easier. The risk is not in the hardware, it’s in the specification of what is required for automation. Clear-thinking, honest justification and an understanding of the implications and costs of decisions are the key elements of a successful system. Manufacturers need to invest not only in the robots and automation that will improve their manufacturing processes, but also in the personnel and training required for a more automated environment. The UK’s lack of investment in training and apprenticeships in recent years has generated a skills gap within a number of manufacturing sectors. Although many companies now have a pro-active approach to recruitment of new apprentices and engineers, it will take time for these individuals to build up the application knowledge and experience necessary to identify potential opportunities for automation and also support automated production systems. To fast-track this process, some manufacturers are turning to independent automation experts to supplement and support the formal education and training programmes for their apprentices and engineers. 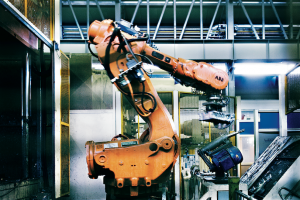 These additional “automation based” training programmes provide guidance on how to seek out and evaluate potential opportunities for automation, identify what does and doesn’t work, segregate the “ nice to haves’ ” from the “ must haves’ ” in specifications and generally provide a greater appreciation of the different automation concepts and solutions which are available to manufacturers. So whilst as a nation we are still playing catch-up with other more automated manufacturing economy’s, we still have the opportunity to maximise the opportunities that are available. 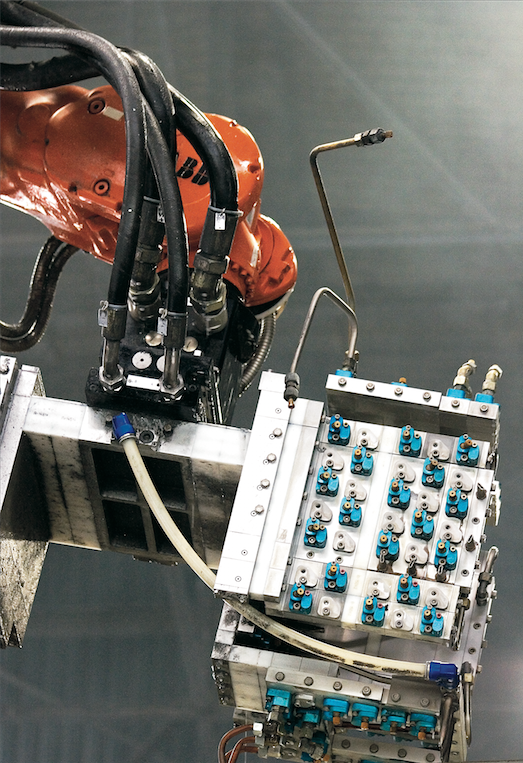 To do this, we should be prepared to consider taking a more long term approach to investment and draw upon the knowledge and expertise of our automation experts to initially identify, specify and subsequently build the case for the automated production systems which will propel UK manufacturing into the future.